that I have made for Isabel Cristina to share! all of them with a generous amount of images and sentiments. image, to fit all of your projects perfectly! I consider these two cards quite CAS, even though they aren´t one layer! markers and cut them out using my Scan n Cut. Oxide inks, Spun Sugar and Picked Raspberry. I used foam dots underneath the bunnies for a little dimension. ”I am a mermaid” stamp from Picket Fence Studios. to get a whole bunch swimming by! What color is a mermaid really supposed to be? I decided to color this one purple, turquoise and green. I applied Wink of Stella to her for a beautiful shimmer! First and second photo from the top shows it best! the blue shadow was also colored with Copics. I used the same Copics to color the scalloped border! I just love ”Always be yourself unless you can be a mermaid”! Pink is still the color I use the most at the moment as you can tell! I decided to use the same color scheme for this card, pink and grey! 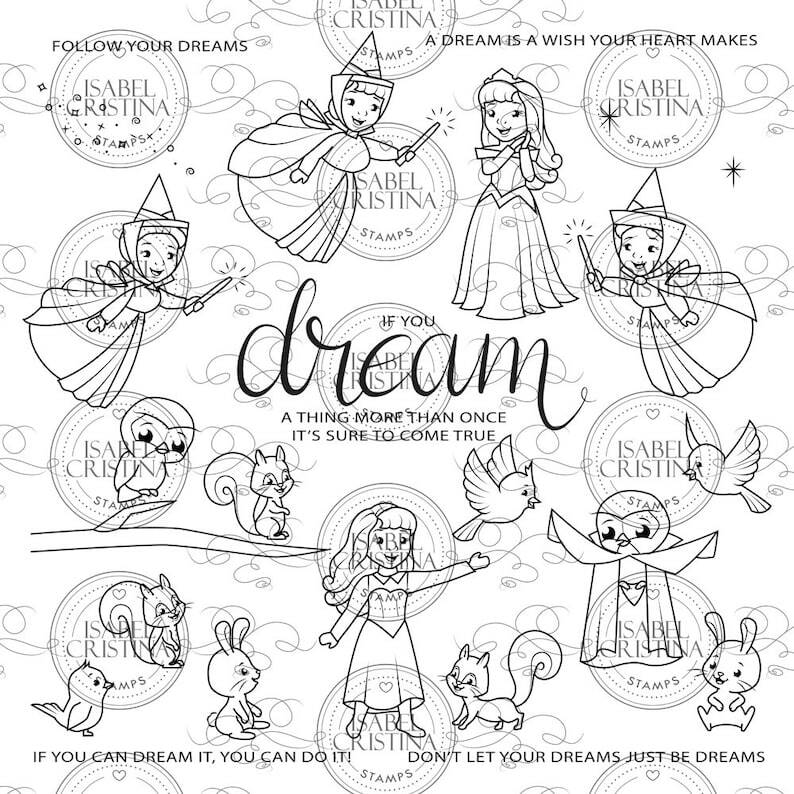 Isabel Cristina Stamps, now available in her Etsy store! sentiments from the set for this card! Oxide inks, Spun Sugar and Picked Raspberry for the grass! just because, thinking of you and so many more occasions! tones. I colored the image with Copic markers. Distress Oxide inks for the background. adhered the image to the panel using double sided tape! 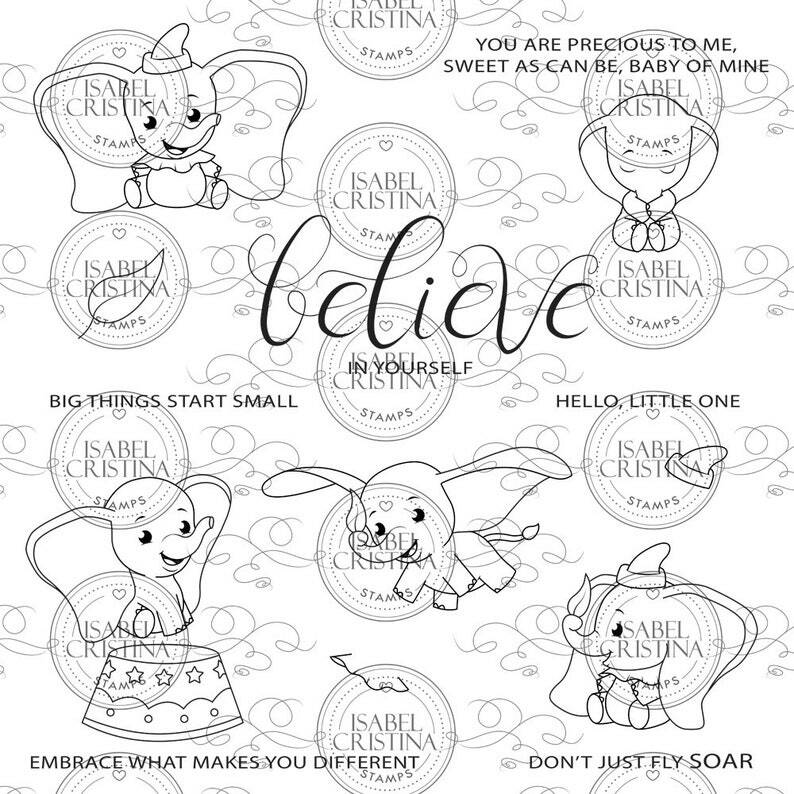 "Beauty Princess" digi set from Isabel Cristina Stamps. There are so many adorable images in this set! two of the sentiments for this card. to her dress! I colored the images and the shadows with Copic markers. it is best shown in the second photo from the top! ride bikes and there are a lot of tulips! a lovely girl and a bike, from Kraftin´Kimmie Stamps. No tulip stamp but the beautiful magnolia digi´s from Isabel Cristina. with Distress inks, Tumbled Glass and Mowed Lawn. accents to the bike to make it look like metal! Today I share a clean and simple just because card. You can never have too many of those cards, right! I made this card for a friend, sent but not yet recieved! when you want to send some crafty love! to the flowers in her hair, to get some sparkle! inks, Spun Sugar, Picked Raspberry and Seedless Preserves. with, maybe that´s why I felt the need to make a spring like card! Hello Bluebird, the "Springtime" and the "McGregor´s garden" set. The sentiment stamp is from the "Brushed Wishes" set by Stampendous. Images, shadow and grass were colored with Copic markers. I applied some Stickles glitter glue to the pink cloud! For the clouds I used a cloud border die from the "Landscape trio"
cardstock, letting the pink show just a little from underneath the white! 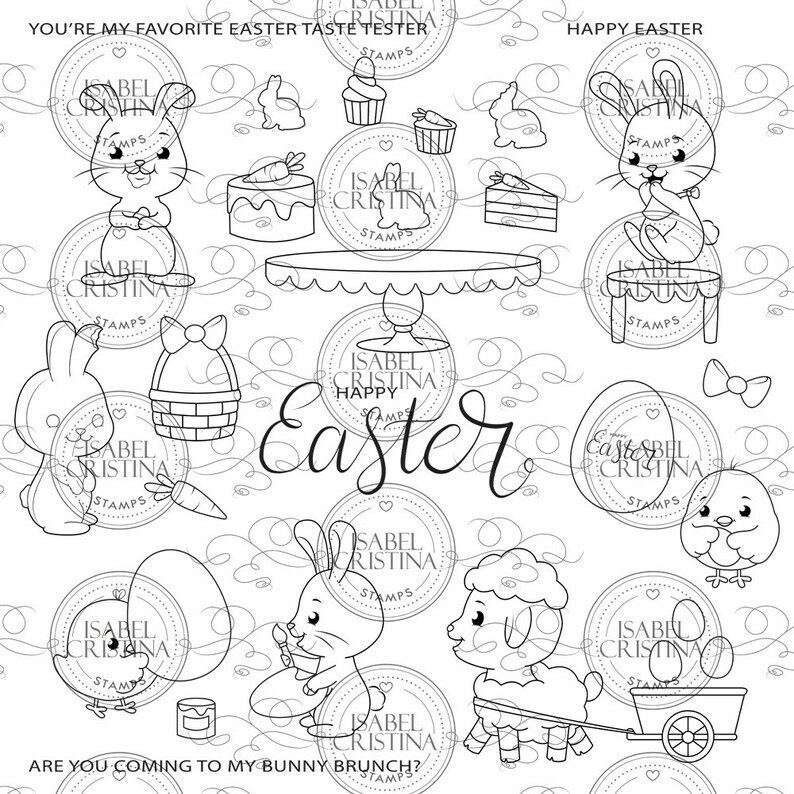 the theme for today´s card is Bunny brunch! stamp set by Isabel Cristina, you´ll find them in her Etsy store! bunnies, a sheep and many sentiments for your perfect Easter cards! please see my blog post from a few weeks ago. the background was colored with Distress Inks. I needed to make a get well card fast the other day! ready to be mailed? I don´t know, I have to work on that! ”Party Parade” set, to make an uplifting get well card! go for a pink and grey card. and the smaller one carried by the duck says hugs! Oxide ink, Spun Sugar to get a soft and subtle feel! Images were color with Copic markers. A little star is born! 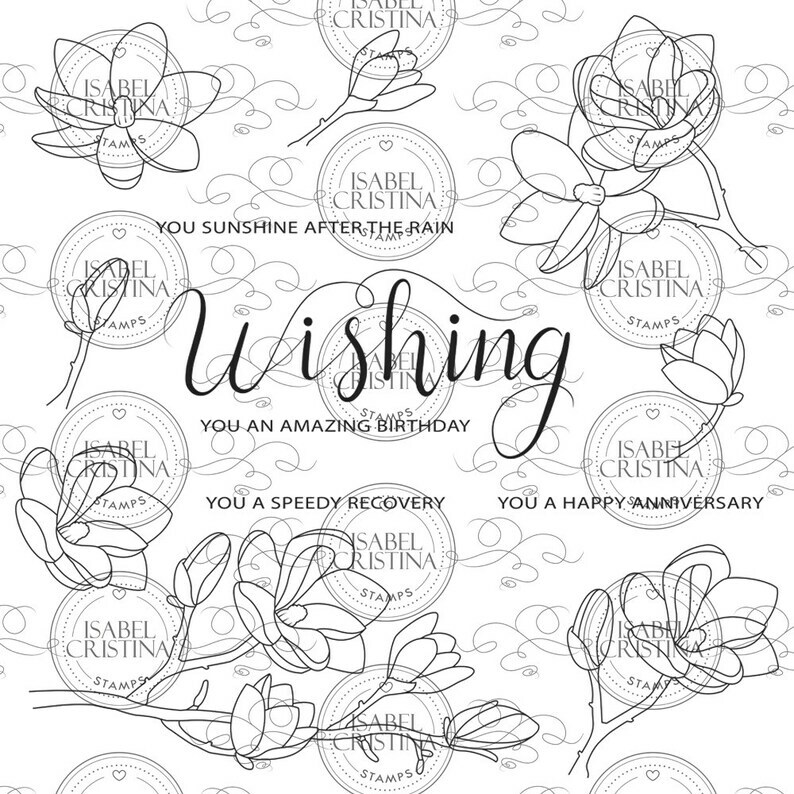 I have a new card for Isabel Cristina to share with you today! How cute is this little unicorn sleeping on a swing! 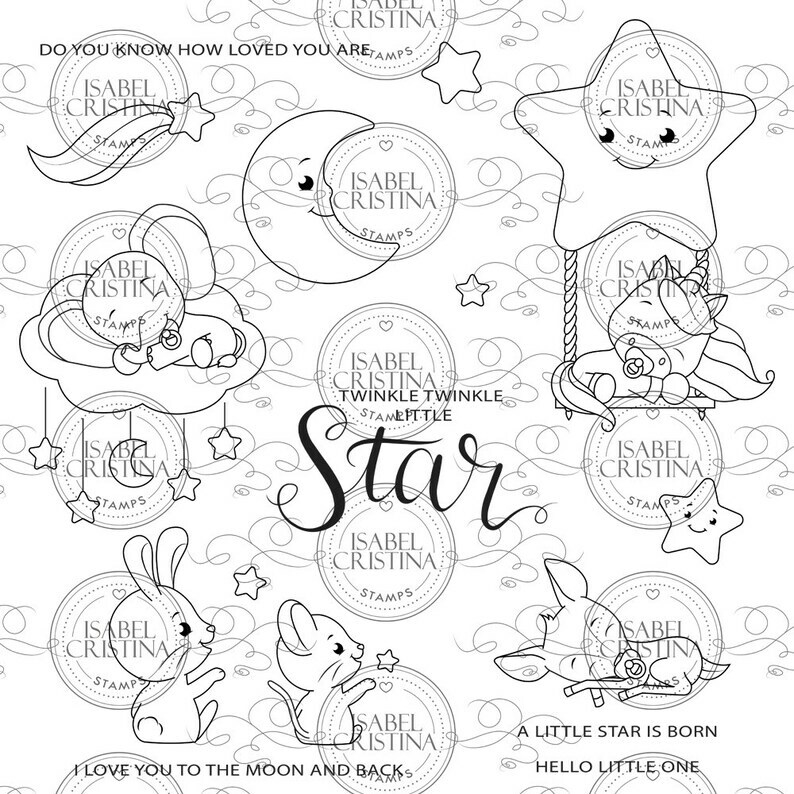 It´s from the "Little stars" digi set, now available in her Etsy store! choosing a 1mm white margin along the edges. and the unicorn, using a matching blue Copic marker. splashed some droplets of water to it. I applied Stickles glitter glue to the unicorns mane and tail! pink Copic markers and Distress Oxide inks! this stamp making lots of birthday cards! The striped background was made using the "Watercolor stripes"
by choosing a dark pink card base! For this card I have used stamps from the "Just sayin´"
and the "North Star" set, both from Hello Bluebird. balloons and the flowers are from the "Just sayin´" set. as it comes with star signs and New Year sentiments. I am thinking freezing cold winter nights! New Year´s, like birthdays and just-because, and this is my first try! Wink of Stella to the balloons so they have a subtle shimmer. It looks great in person, but its hard to see in the photos though! I then applied a coat of Glossy Accent to the shimmery balloons! is from the "Delightful greetings" set from Paper Smooches. 30 Day Coloring Challenge, hosted by lovely Kathy! applied to the Book Worms glasses! some of the tags that I colored during the challenge! digi set called just that, "Magnolias"! set, for immediate download after purchase, in her Etsy store. So much value for money! friends who were willing to share the magic marker combo! Thank you Aileen and Janni! I love these pale pinks!